Unscrupulous landlords are forcing poorer tenants out of their London homes, freeing them up to rent out to visitors to the Olympics this summer, according to the housing charity Shelter. At the same time, the government’s cap on rent subsidies (Housing Benefits) for those out of work or on low incomes threaten to force less well-off tenants out of the capital. Newham Mayor Sir Robin Wales says that they will have to move people as far afield as Stoke-on-Trent if they are to meet their obligations to house the homeless. Fears of ‘social cleansing’ featured in the Mayoral election where Tory incumbent Boris Johnson made sure to distance himself from his own government’s policy to beat off the challenge from veteran left-winger Ken Livingstone. Critics of London’s ‘Social Cleansing’ have fixed on the changes to the law regarding housing benefits and the Olympics, but failed to notice that working class Londoners have been being forced out of the nation’s capital for some time now – thanks to the ceaseless rise in house prices. On the London Programme in 2003, I said that without opening up more land to building in the green belt, house prices would spiral out of control, pricing ordinary Londoners out of the capital. Mayor Ken Livingstone slapped me down saying that he would never sanction building on the green belt. It is not hard to understand why prices are so steep. 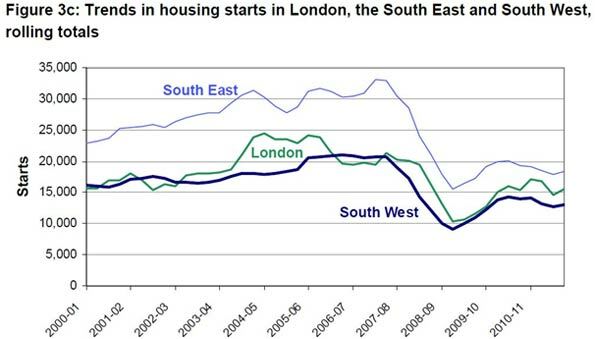 Housebuilding in the UK has failed to keep pace with demand. New housing starts are slightly up after the crash, but overall they are woefully short of actual need. The reason is that Britain has among the most stringent laws on building – the ‘planning laws’ – which stop building on the ever-growing ‘green belts’ that surround our cities. Given that the working class are the Labour Party’s natural constituency, you might have thought that its years in government (1997-2010) would have seen more homes built for working people. But Labour turned its back on the working classes a long time ago, while keeping its neurotic interest in regulating the economy. The outcome was a re-vamped planning system that put the brakes on home building. This time this was done in the name of the environment, not to protect the Tory Shires from ‘bungaloid sprawl’, as it was originally intended. Housebuilding fell below the bare minimum of 250,000 you would need just to replace the increasingly dilapidated stock. The Conservative government’s commitment to liberalisation is like its Labour predecessor’s commitment to the working class, theoretical. Home building remains stalled, and prices have not seriously fallen despite the shortage of credit). Governments of all stripes are most committed to orderly regulation of change, and dread the unsupervised activity of their citizens – a prejudice which has only led to chaos. The short supply/rising price dilemma is particularly intense in London. A metropolis of nine million creates a fierce competition for prime sites. Even putting aside the super-rich boroughs, like Kensington and Chelsea, where average prices are £1.3 million (roughly $2 million US), the overall London average is £406,000 ($770,000 US) . Besides being the most logical place for real estate speculation from around the world, London also has been in the grip of the planning system. It was in London that the Labour mayor took on architect Richard Rogers as an advisor, and committed the capital to a programme of building only on brownfield (already developed) land, ‘building up, not out’. The result is not much building at all, except to pack more four and five storey blocks into what few pockets of green space can be grabbed. His successor Boris Johnson has avoided challenging the Livingstone system, preferring a quiet life to any hint of controversy. Rather than face the problem of the absolute shortfall in new homes, most critics have fixated on peripheral issues, such as the number of empty homes (which, despite the attention they receive, are, because of high prices, at an all-time low). Easy credit, too, has been blamed for high prices, which is true, but the shortage of credit has not led to a great fall in prices, because the underlying problem was the absolute shortage of homes. Others have argued that the British are too wedded to the idea that they should own their own homes, and could rent, like the Germans, failing to understand that the availability of homes to rent depends on their being built, and rents tend to move in the same direction as prices, as The Observer’s Eva Wiseman has discovered. London’s Mayors have dedicated much attention to schemes to build ‘affordable homes’ – sometimes reserved for occupations like teachers and firefighters – though these are too few in number to have much impact on prices overall. 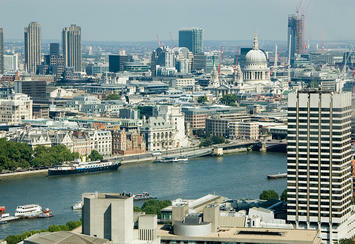 These social changes show inner London’s parallel embourgeoisment and deepening social poverty. Of course, those who live in the outer suburbs scoff at the protests from well-heeled social commentators about the prices in inner London as ‘Zone Six snobbery’. Still the changes go some way to explaining why Ken Livingstone was unable to sustain the traditional City Hall machine he built consolidating constituencies among inner London’s poor immigrant and residual working class communities while Tory Boris Johnson won over the more working and middle class outer suburbs. In his last term Livingstone concentrated on winning over London’s bloated financial service sector more than he did on popular support – but the City of London switched its allegiances to the Tory Johnson, who champions it as an engine of growth. Neither candidate has understood that the skew towards the overheated financial service sector creates a weakness in the London economy, with manufacturing having moved out to the surrounding South East and a growing lack of upwardly mobile jobs for all but the most skilled or privileged. The housing benefit cap clearly is a problem for welfare-dependent families who are caught in the poverty trap and cannot earn enough to pay the rent. But the problem of the less well-off being priced out of London began long before the changes in housing benefit rules, or London’s winning the Olympic bid. The city the world will visit this summer increasingly resembles not the social democracy imagined after the Second World War, but increasingly a social bifurcated place increasingly resembling that of Victorian times. James Heartfield is the author of Let’s Build: Why we need five million new homes, a director of Audacity.org, and a member of the 250 New Towns Club. One imaginative solution to London’s housing problem was proposed by Ian Abley and Jonathan Schwinge of the 250 New Towns Club. Abley and his colleagues have been pressing for new building in Britain’s green spaces to meet housing need. 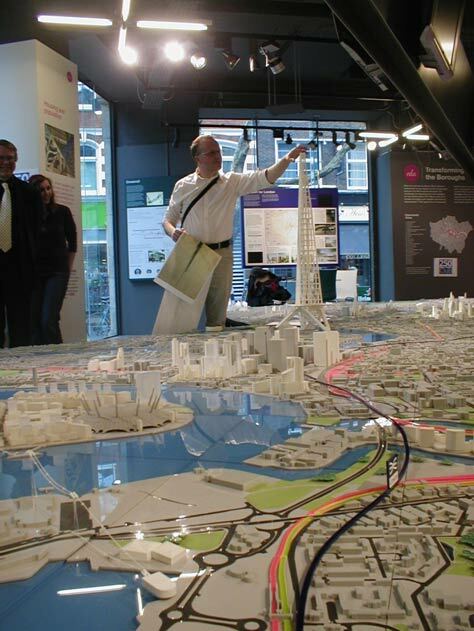 Taking on the challenge of building up as well as out, Ian unveiled a plan for a tower one mile high for London at the Building Centre, which could house 90,000 people. Submitted by ymouel on Mon, 05/25/2015 - 00:27. Submitted by badoky on Mon, 05/11/2015 - 19:57. Submitted by david watson on Sun, 05/10/2015 - 16:55. I would love to stop by. Submitted by david watson on Sat, 05/09/2015 - 05:59. Submitted by xijozx1122 on Tue, 05/05/2015 - 07:04. Submitted by xijozx1122 on Sun, 05/03/2015 - 04:32. Submitted by CJ2418 on Thu, 04/16/2015 - 23:02. Submitted by johnz308 on Fri, 04/10/2015 - 09:10. Submitted by xahgzr1122 on Tue, 03/24/2015 - 07:11. Submitted by mitchivler on Mon, 02/23/2015 - 04:39.
the heart be thank the authors of shares.